If you have a residential or commercial grease trap, there are some common problems you should know about. Learning what a grease trap does and how it operates can help you check for problems. First, you should know that grease traps are an important part of your sewer system. If it malfunctions, clogs and backups will start to happen at some point. Before that, the waste will get washed into the sewer lines -not a good thing. 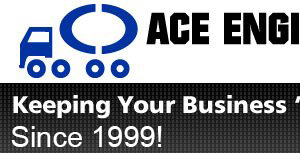 As Miami Drain Cleaning professionals, Ace Engineering, Inc. installs, maintains, and cleans grease traps. We have been helping local businesses stay in business and homeowners to avoid plumbing problems for over a decade. We are happy to share some of our knowledge about grease traps and how to recognize problems. A grease trap is a necessary plumbing mechanism that traps fats, oil, and grease as it flows through your sink and into the drain line. It keeps this gelatinous goo from entering the municipal sewer system. The fats, oils, and grease, or FOGs, are separated from the water and then harden in the trap rather than wash through the pipes. Debris also sinks to the bottom of the grease trap. FOGs and debris must be removed from the trap regularly when they reach a certain level. Otherwise, they will overflow and cause problems. Grease Trap Spillovers – If the grease trap is allowed to overflow, the FOG will spill over into the secondary compartment and clog the crossover as well as the incoming and outgoing lines. In order to test the level of the grease in the tank, carefully open the lid with a pry bar being careful not to damage the gaskets located under the lid. Insert a dowel or yardstick into the grease trap tank all the way to the bottom, gently and slowly swirling it as you go so the grease marks the dowel. It’s much like checking the oil level of your vehicle. Use a tape measure on the dowel to check how many inches of waste is present. If the inches of grease on the dowel makes up 25% or more of the total depth of the tank, it should have been cleaned out already. But if your grease trap is not working, it could be something else. It is not uncommon for there to be a clog in the outgoing line, the incoming line, or in the crossover that bridges the two compartments. If there is a clog in the incoming line, it will cause backups.